A Feature Show is one that is being judged by a Specialist judge. 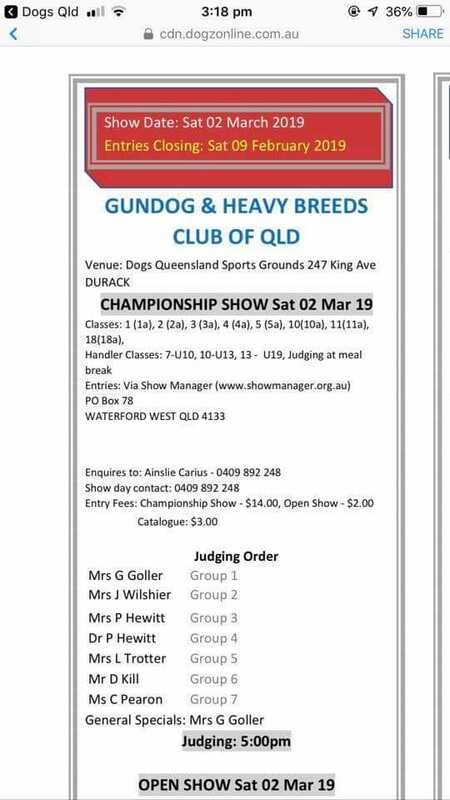 Our breed, at this show, will be judged by Mrs Lynda Trotter of Belgenbeau Belgian Shepherds. Lynda is a long time breeder of all 4 varieties of Belgian Shepherds. Get your entries in to support this Belgian breeder judge! The Belgian Shepherd Dog Club of Queensland is sponsoring pretty rosettes for the 4 Best of Breed awards. Entry to the showgrounds is free to come for a look.